Lucky for me, candy aisle temptations at the grocery store are few and far between. But over the holidays I couldn't resist this trio of organic chocolates near the register at Whole Foods. 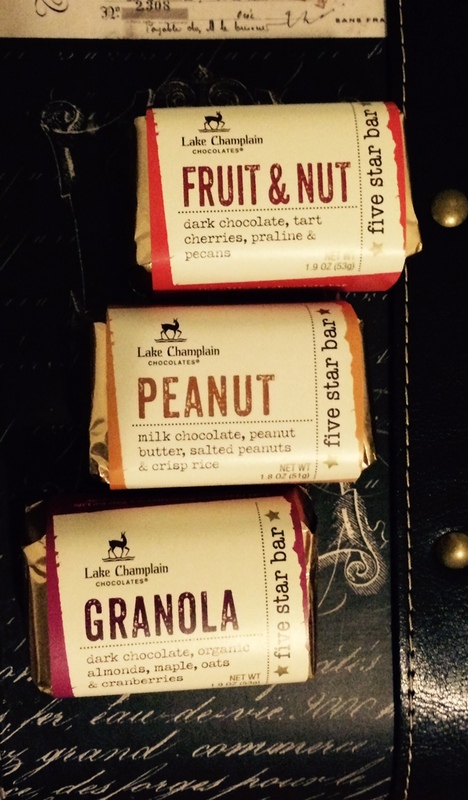 Lake Champlain chocolates are gourmet chocolates from Vermont. This chocolate company prides itself on it's bean-to-bar chocolate production, even harvesting their own bee's to make honey to sweeten the chocolate. They have also collected accolades for their Fair Trade practices. I couldn't decide what flavor to get, so I decided on all three: Fruit & Nut, Peanut, and Granola. Peanut butter was by far my favorite! Besides Whole Foods, you can find them at other organic grocery stories like Roots and Mom's Organic Market. Or you can order it online here. Day 25: Dirty works works! Day 19: live. laugh. love.